What has been the biggest benefit in joining BorrowMyDoggy? The biggest benefit for me is being able to leave Hugo with people who benefit from having a dog in their lives. They give him extra attention, care and love and it’s not to make money, it’s purely for pleasure. It’s also been so nice meeting new people. We are great friends with one of the couples who look after Hugo and we’re taking them out for Christmas dinner! Hugo has made friends and we have made friends as well. Why did you sign up to BorrowMyDoggy? We had borrowed a couple of different dogs through friends in the past so when one of them told us about BorrowMyDoggy, we signed Hugo up straight away. We don’t actually really need help looking after him, but we know what it’s like to desperately want a dog so we wanted to let other people have the experience. It seemed like a great way to help socialise Hugo, too, as he is still a puppy. I’m so glad we did because it has been brilliant. Tell us a bit about Hugo. 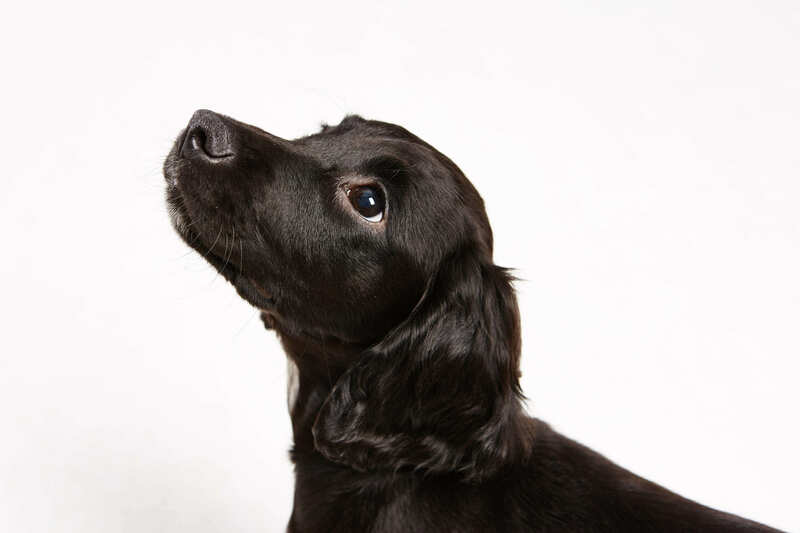 Hugo is a Sprocker Spaniel. He’s very cheeky, mischievous, friendly and loads of fun. Thanks to his puppy training, he is very well behaved. 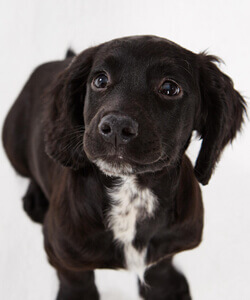 Hugo is full of life and energy, he goes from one extreme - we call them the Sprocker zoomies when he runs around - to the next where he’s fast asleep on your lap. How did you find the signup process and searching for a match? The signup process was really easy, it’s just like Facebook for dogs! I didn’t have that many expectations when looking for a borrower as we weren’t looking for care on a specific day. We just wanted to find some people to spend time with him and help him to become more sociable, not that he wasn’t already very friendly! I was shocked at the number of people in our area who messaged and liked him. It was absolutely amazing. How was your 'Welcome Woof'? Our ‘Welcome Woofs’ have all been lovely. We meet in the local park during the day and take Hugo for a walk. Even though all of Hugo’s borrowers come from different backgrounds, we’ve clicked straight away with them. We all get on really well. What is Hugo’s current borrowing arrangement? Every Thursday Hugo spends the day with a lovely young couple who can’t have a dog of their own as they live in a second storey flat. He loves it and they love it. Another couple who look after Hugo from time to time are doing so as they want a dog of their own soon, so they’re borrowing different breeds to find out what suits them. 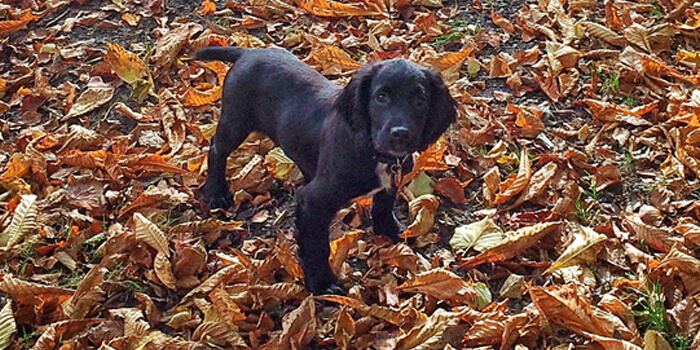 I think since meeting Hugo they’re definitely heading down the Spaniel track! Dog walking can cost £10 an hour, which is so expensive, but with BorrowMyDoggy he’s getting one on one care with people who really love him and aren’t doing it for money. Have you noticed any difference in Hugo since joining BorrowMyDoggy? BorrowMyDoggy has absolutely helped Hugo’s socialisation. I can take him anywhere and he’s not nervous of anyone or anything. He loves all people and children. I know he loves his borrowers, because when he sees them he gets so excited that he often trips over his own feet to get to them! Describe your BorrowMyDoggy experience in one sentence. BorrowMyDoggy is so much more than you initially expect. It’s not just dog care, it’s meeting someone your dog falls in love with and someone you can become friends with, too.